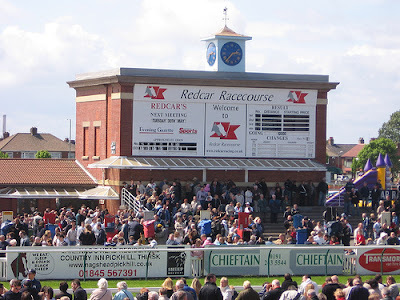 On Saturday we are off to North Yorkshire, for Two-Year-old Trophy day at Redcar,though going concentrate on there main supporting race the £40,000 Guisborough Listed stakes. 9 Runners declared for the 7 furlong Guisborough Listed stakes at 3.55, on ground described as Good/soft . Not the strongest looking listed contest ,though still looks interesting race .The three main contenders are Jallota , Yattwee & Lahore . JALLOTA :Six-year-old Bay gelding ,winning 5 out 48 .Been running consistently all season in group company without winning,including finishing placed in G2 Challenge Stakes at Newmarket & Bet365 Mile at Sandown.Also finished creditable third in G2 Joel Stakes at Newmarket last week .Solid claims dropping down in class . YATTWEE:Four-year-old bay gelding ,winning 2 out 7,though only victory on turf came in 6 furlong class two handicap at Newmarket in May,off mark 96 .Returned to form on seasonal reappearance last time,finishing second in 7 furlong conditions race at Haydock .Looks open to further improvement,though was well beaten on only start in listed company . LAHORE :Three-year-old bay colt ,winning 3 out 4.Shown progressive form this season ,including bolting up in 7 furlong class two handicap at Doncaster last time,off mark 86,though was well beaten in group three company at Deauville in August.Should find this listed race easier. VERDICT : Lahore will have his supporters ,having won impressively in handicap company last time at Doncaster,the handicapper raising him 13lb for that performance.Looks open to further improvement after just 4 starts ,though up in class and makes little appeal at around 2-1 . JALLOTA is 5lb clear on official BHA ratings.Has been running with credit in group races all season ,including finishing good third in group two Joel Stakes at Newmarket last week .Obvious claims with this drop in class .Odds around 7-2 look very fair value . Nice tipping Jerry! ran well, never a doubt in final furlong. Cheers Phish,yeah won nicely .